It was very cold January 20 on the National Mall, but I didn't mind. It warmed me to my toes to hear President Barack Obama usher in a new era of thoughtfulness and discipline by saying, "It is time to put aside childish things." One of the most important of these is the disdain for science that marked the last administration. Happily, respect for scientific integrity appears to be a hallmark of the new one, as reflected by Obama's early appointments: marine biologist and former American Academy for the Advancement of Science president Jane Lubchenco to lead the National Oceanic and Atmospheric Administration, Nobel laureate Steven Chu to head the Energy Department, and eminent physicist John Holdren as science adviser, to name a few. During the past eight years the idea that smart people can reasonably predict the future has taken a big hit. The Bush administration ridiculed the whole idea of considering consequences. ("Stuff happens.") Similarly, the biggest brains on Wall Street (and the Securities and Exchange Commission) failed to foresee the financial system meltdown. The most important environmental liability of oil as an energy source is probably not air pollution or oil spills but the chance that war will be waged over access to the world's remaining supplies. The most important environmental liability of coal is not the occupational toll of mining . . . rather it is the threat of global climate change posed by accumulating atmospheric carbon dioxide. . . . The most important environmental liability of nuclear fission is neither the routine nor accidental emissions of radioactivity, but the deliberate misuse of nuclear facilities and materials for acts of terrorism and war. Even more stunning than the accuracy of these predictions is that so many commentators in the major media are still denying them. Stories on oil dependence ignore the war in Iraq; the relationship between burning coal and global warming is still considered "in dispute"; and the spread of civilian nuclear energy is seldom linked to terrorists' potential access to weapons of mass destruction. Few of the reporters who write these stories are themselves in doubt--I know because I talk to them all the time. But many media outlets insist on treating obvious truths as doubtful if someone can be found who doubts them. If there is a dispute about the facts, however self-interested or discredited a perspective may be, both sides get equal weight. A perfect example is George Will's February 15 column in the Washington Post, which contained several false claims about global warming--one being that the U.N. World Meteorological Organization has said that "there has been no recorded global warming for more than a decade." In fact, according to the WMO, the past decade is the warmest on record. Asked for a retraction, however, the Post refused, contending that the column had been sufficiently fact-checked. Look at Holdren's other examples. Apart from the United States, Great Britain, and the Soviet Union, every state acquiring nuclear weapons (or on the verge of developing them) has done so using civilian nuclear power technology. Yet when nuclear power advocates deny a linkage with proliferation, their comments are reported seriously. Or consider the myth of "clean coal." The coal industry defines the term as "any technology to reduce pollutants associated with the burning of coal that was not in widespread use prior to the Clean Air Act Amendments of 1990." It doesn't necessarily have anything to do with reducing CO2 at all. But the media continue to report about clean coal as if it had something to do with protecting the climate. Journalists who know better are trapped by the idea that their job is to report a debate--not judge it or even referee by calling obvious fouls. For the media to refuse to describe what we have learned about the way the world works is one of those childish things it's now time to put away. 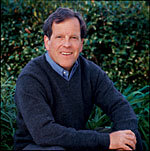 Carl Pope is the executive director of the Sierra Club. E-mail carl.pope@sierraclub.org. Photo by Lori Eanes; used with permission.